PLASTERER IN CAERPHILLY - I am new to the area of Caerphilly and i wanted a local plaster in Caerphilly that was reliable and honest and someone that i could trust in my home when i went to work. I found these plasterers from Caerphilly all of the above. The plastering finish at my new home in Caerphilly was second to none and very clean when tradesmen finished. PLASTERING IN MORNINGTON MEADOWS - I have recently moved to Caerphilly from London and needed some ceilings and walls skimmed at our new house in Mornington Meadows. We called Caerphilly Plastering Services and we was amazed how good there prices were .They are professional & friendly, clean and very good at their trade. I would highly recommend them to others and will be using them again in the future. They are lovely guys, reliable plasterers and their workmanship is excellent value for money. They are tidy workman and extremely efficient. I recommend them to anyone. The fact they plastered nearly every ceiling upstairs in my house to perfection says it all. CAERPHILLY PLASTERING SERVICES - Caerphilly Plastering Services and their team completed the 49sqm ceiling in just one day over artex in our office in Thornhill Cardiff in March 2015. The finish was as smooth as a babies bum. I Would highly recommend these plasterers in Caerphilly to all friends and family without hesitation. CAERPHILLY PLASTERING SERVICES - Caerphilly Plastering Services has worked on two rooms in our old Terraced house. From the very first quote to the end result, it has been a smooth and highly professional service. Caerphilly Plastering Services and team of plasterers removed old plaster, re-boarded walls and ceilings, skimmed and fitted coving. The finish was excellent and the quality of workmanship and service was superb. We will use no one else in future and highly recommended. We had our hallway, stairs and landing re plastered in St Martins Road Caerphilly. The finish by Caerphilly Plastering Services was excellent and commented on by other tradesmen we had in after. The price off Caerphilly Plastering Services was reasonable and work done in line with what was agreed. Caerphilly Plastering Services came back and touched up places following the fitting of new skirting and archtitraves. We had a living room and dining room fully re plastered by Caerphilly Plastering Services in Feb 2015 . We chose Caerphilly Plastering Services because they seemed very knowledgeable and experienced and the price was also very reasonable. Carpets and furniture were covered throughout the work to reduce the mess. The tradesmen for Caerphilly Plastering Services very polite and courteous throughout (I wasn't called "love" or ordered to put the kettle on once! :D). The finished job looks brilliant and we're really pleased with it. Would definitely use Caerphilly plastering Services again. PLASTERING IN YSTRAD MYNACH - They attended our plastering with confidence and the finished rooms was excellent. CAERPHILLY PLASTERING SERVICES - Caerphilly plastering carried out work for us in a large commercial development in Cardiff - South Wales. They were able to attend site at very short notice to survey the work and was able to start on site the following week. Overall very pleased with the service and quality of work and would recommend their services to others. PLASTERER IN SOUTH WALES - I heard of Caerphilly Plastering Services from friends in work. I hired Them myself recently to plaster a whole room (walls and Ceiling). The walls were back to basic brick in many places, It was very new for me to experience this, and I wasn't sure how it would look. But after 2 days of Caerphilly Plastering skilful plastering expertise it now looks amazing! Some paint and a new carpet the room is magically transformed. I too can now highly recommend Caerphilly Plastering Services on to friends. Plastering in caerphilly - Caerphilly Plastering Services was tasked with removing some horrid artex from my living room walls and ceiling and supply and install new skirting boards . The job was difficult because we were unable to remove some of the furniture out of the living room. Caerphilly Plastering tradesmen was very accommodating and literally just got on with it on the date in question. They worked like a devil according to my husband and transformed the living room in 2 days. The quality of the work was excellent and the cost was not cheap but reasonable. I would definitely recommend them to my friends and family. PLASTERING IN TAFFS WELL - I found Caerphilly Plasterer online as I needed My living room and dining room all knocked into one. They came and gave me a good price, done a great job and organised the plumbers and electricians at a time they needed them and left the place clean and tidy throughout, as a painter and decorator I would highly recommend Caerphilly plasterer and will be using them again in future! PLASTERING IN CAERPHILLY - I had Caerphilly Plastering Services on saturday 21st September to plaster our kitchen ceiling in Castle view, Caerphilly. They done a great job and plenty of dust sheets went down when they had to srubbishe off all the old artex back before plastering. A real professional job was undertaken. CAERPHILLY PLASTERING SERVICES - Recently had plastering and building work done in july 2013 by Caerphilly Plastering Services in the local area.Top quality plasterers,Not cheap but reasonable price for the service and plastering finish.They talked me through the job and how long it would take. They stuck to their timescale and price agreement .I will be recommending these plasterers to work collegues & family. Great Plasterers in Caerphilly - We have used Caerphilly Plastering services several times now and every time I am so pleased with their work. They are a hard working team of plasterers and the final result is amazing the walls are like glass very very smooth. I have recommended Caerphilly Plastering Services to all my friends and Family. You will not be disappointed with the final result. PLASTERER IN CAERPHILLY - We had a excellent experience when looking for a plasterer in Caerphilly with Caerphilly Plastering Services in March 2013, they was not the cheapest quote we had but they came highly recommended by a friend in Caerphilly. The job we had last year by a local plastering company in Bedwas was rubbish so it was nice to have a real professional in our home to take the pressure off us as we both work full time. The quality of finish of walls and ceilings were very smooth and ready for painting. No mess - No fuss and always started at 8 am and never late one minute for the 5 days they worked in our house. VERY FRIENDLY AND RELIABLE - CAERPHILLY PLASTERING SERVICES and his team plastered my living room walls and ceiling and did a fantastic job. For the amount of work carried out, it was well-priced and I am very pleased with the standard of work. VERY TIDY WORKMEN - Being a busy professional I have high expectations and demand a good standard of work from other professionals. I've used Caerphilly Plastering Services on two occasions and each time they've done a great job, they always clean up after themselves and the plaster finish is the best i've seen. I highly recommend their services. Wonderfull service - I needed a builder urgently for my home alterations as i was let down at the last moment by a builder from Caerphilly and contacted Caerphilly Plastering Services. They were quick to respond, came round when it suited me and arrived on time! They completed the Brickwork, Carpentry , Plumbing and Electrical work with his work force and the results were brilliant. They laid dust sheets everywhere and was very good at clearing up after they finished. The price was within my budget and I have no hesitation in recommending them to anyone!!! Have you got a spare minute to add a review of CAERPHILLY PLASTERING SERVICES, Cardiff? Please add your CAERPHILLY PLASTERING SERVICES Cardiff review and help create a directory of recommended Builders in Cardiff. 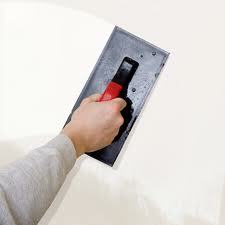 If CAERPHILLY PLASTERING SERVICES Cardiff is your business, then claim it now. Business owners who claim a business can update the description and add new tags and photos.